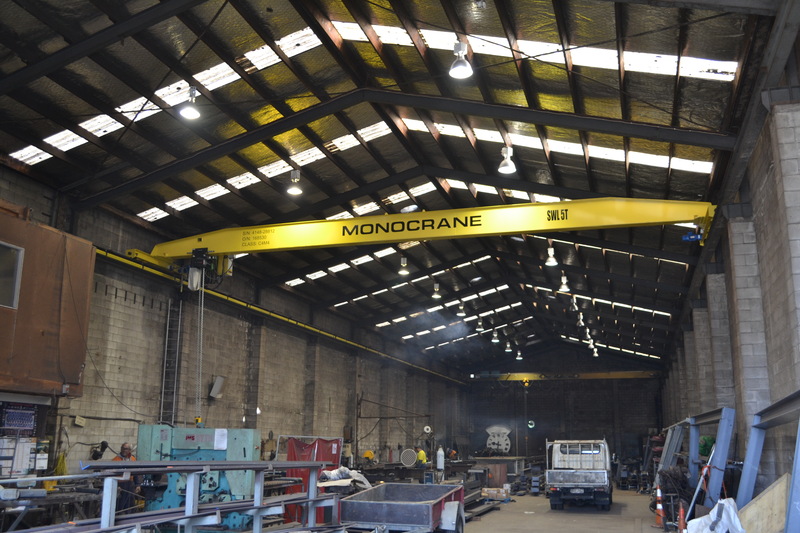 Available in capacities from 1 tonne up to 32 tonnes and spans up to 45 metres MONOCRANE single girder cranes represent outstanding value for money and quality in the general purpose crane division. 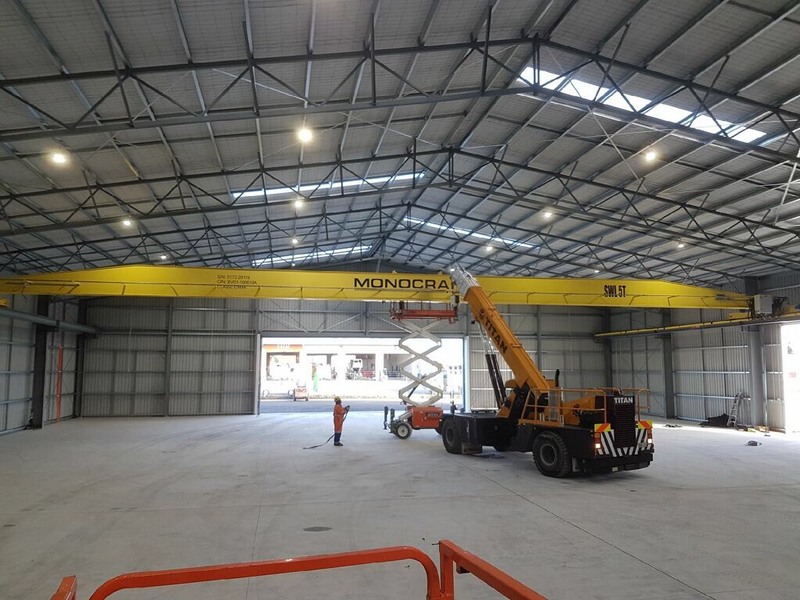 MONOCRANE single girder cranes offer excellent floor coverage and low headroom design to guarantee you maximise the usable floor space and height of lift available in your warehouse. Full penetration sub-arc welded bottom flanges for the ultimate in strength and fatigue resistance. Line bored one piece end carriages to ensure precise alignment and smooth travelling motions. Tapered girder ends to allow crane to occupy otherwise wasted roof space – ensuring high clearances and maximum heights of lift. Industry leading Hyperspeed and i-Glide technology optional across the entire range.